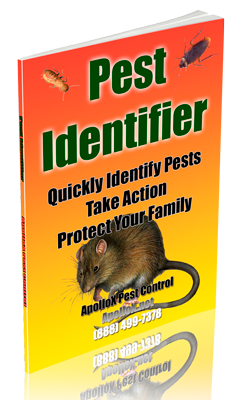 ApolloX Pest Control will remove citronella ants from your home quickly, efficiently, and safely. 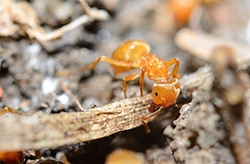 Citronella ants are bright yellow and have a strong citrus smell when crushed. 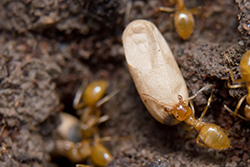 They are frequently confused with termites when they swarm into the living areas of homes. The swarmers (winged ants) may vary in color from the more common light yellow to a dark reddish-yellow or light brown. 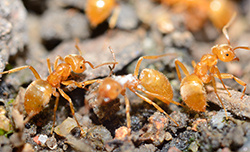 The workers are typically yellow with less color variation than the swarmers. The workers are 4 to 4.5 mm long and have 12-segmented antennae, with the scape (first antennal segment) just reaching the top of the head. Citronella ants live underground, so you rarely see them, but on occasion, they do find their way into homes. They build their nests underground, under logs, or sometimes under the concrete foundations of buildings. The ants are believed to tend aphids (much as dairy farmers would cows) and collect the honeydew they excrete. They are not known to forage for other food sources. Nest sites may include open woods, pastures and fallow fields, gardens, lawns, and next to house foundations. Also, some colonies are located beneath concrete slabs and large rocks, and in and beneath rotting logs. Citronella ants should be considered only as a nuisance pest species. 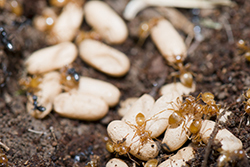 Although these intrusions may alarm homeowners, the ants will not reproduce within the home nor will they attack stored goods or structures. Stack firewood well away from your home. Insects build nests in stacks of wood. 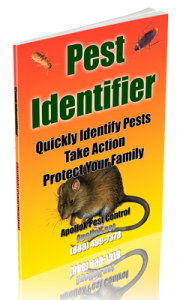 Call ApolloX Pest Control for citronella ant pest control in the Fairfield County CT towns of Fairfield, Black Rock, Bridgeport, Cos Cob, Darien, Easton, Greenfield Hill, Greenwich, New Canaan, Noroton, North Stamford, Norwalk, Old Greenwich, Redding (lower), Ridgefield (lower), Riverside, Rowayton, Shelton, Southport, Stamford, Stratford, Trumbull, Weston, Westport & Wilton.